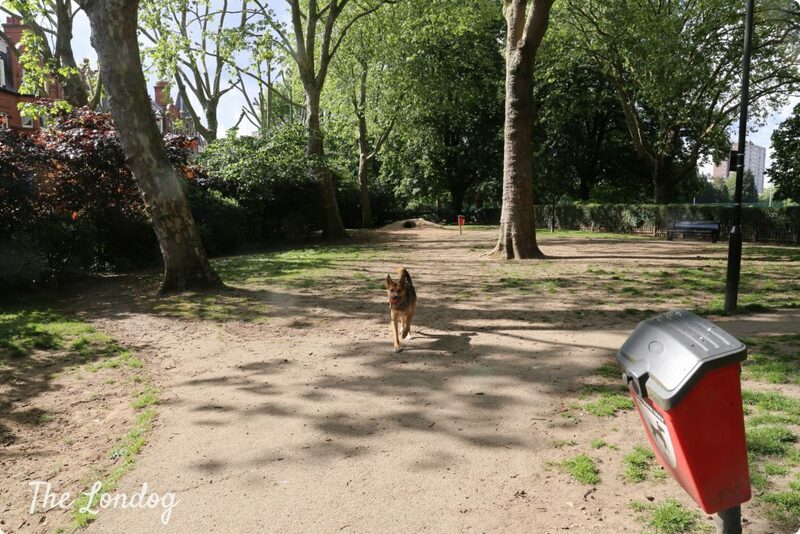 After the reviews of the fully enclosed dog exercise areas in North London and in South London, it is now time to tell you about the four (enclosed) dog parks you can visit in Central London. You can locate all the dog areas in the MAP included in the Enclosed Dog Parks hub. 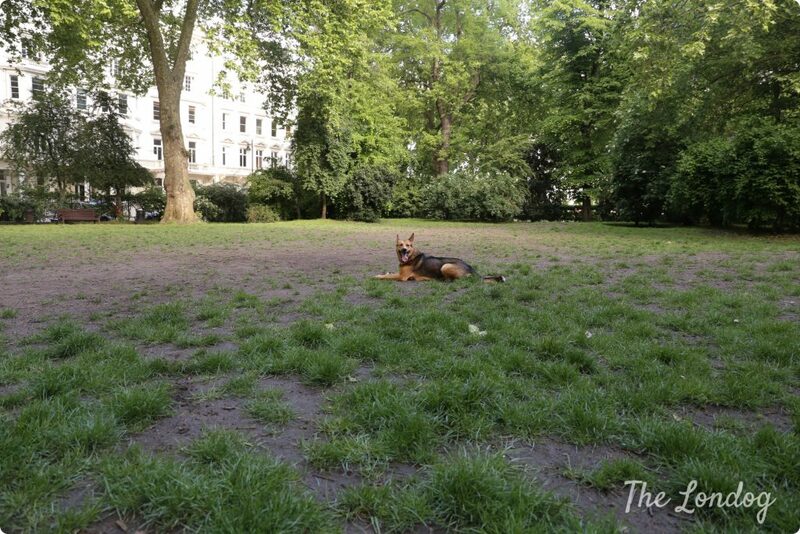 St George Square Gardens’ dog exercise area is absolutely one of our favourite dog parks. The closest tube station is Pimlico (which unfortunately is not escalator free; but no fear: you can plan your escalator free route with the help of this blog post). 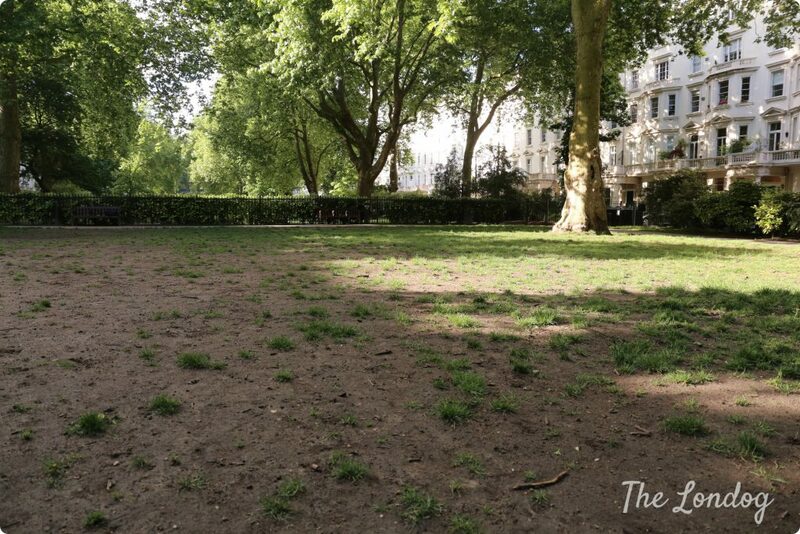 The dog exercise area is located in the south part of St George Square Gardens and is accessible from two gates, located on opposite sides of the Square. There are also two gates that look on the main gardens (from which dogs are banned though). 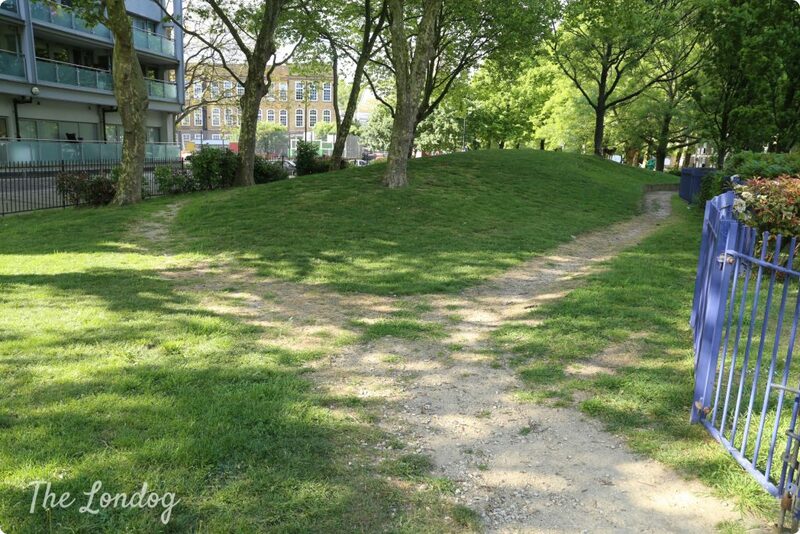 The thing to watch for is that people crossing the dog park properly close the gates when entering/exiting the area. 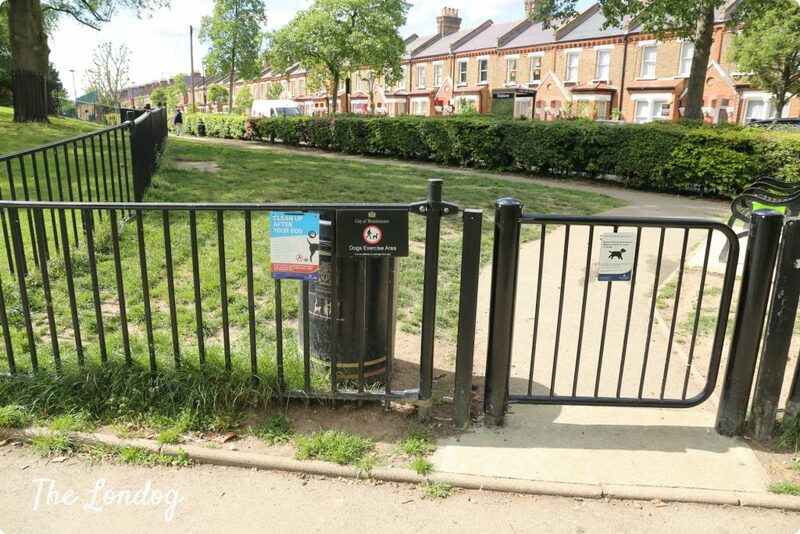 The dog area is very large and is equipped with 4 benches, 7 waste bins and 2 butts bin. There is a lawn, trees and bushes. The fence with the Square and street is made of vertical metal bars and is 150 cm high (approx. 59 inches), with space between bars of approximately 10 cm (approx. 3.94 inches). There is also an edge on the border with the main Gardens. 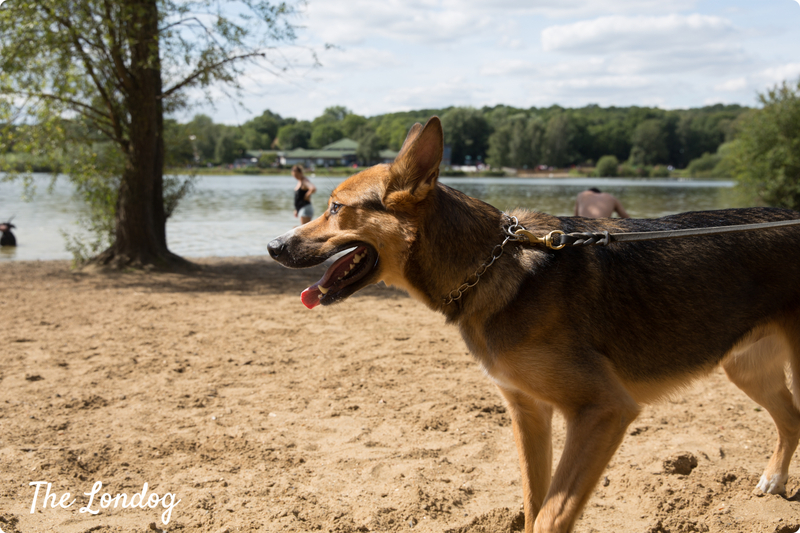 Each time we visited the dog park we found quite a few friendly dogs to enjoy zoomies and playing with. The dog park is overall very well maintained (they even tried to grow a more prosperous lawn, but with the many dogs playing and running around I understand it proved a tough endeavour…). We definitely recommend it! 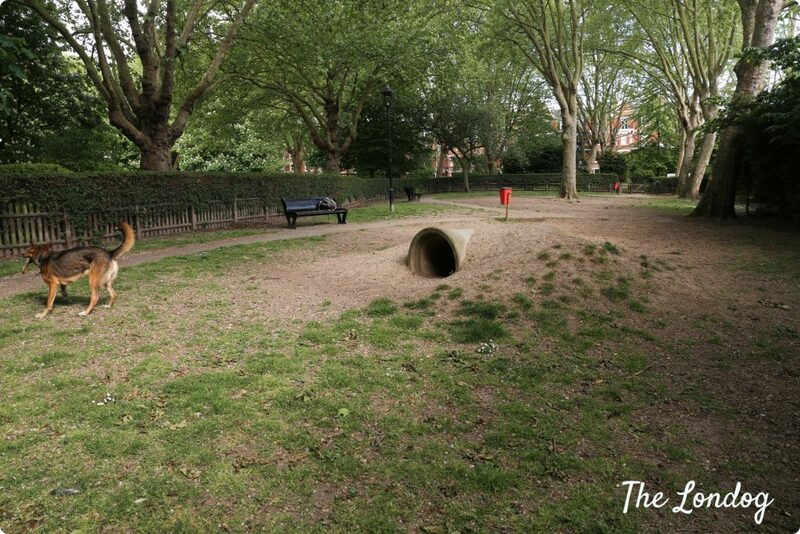 Paddington Recreation Ground is located in Maida Vale, and the closest tube station is Maida Vale station (Bakerloo line). 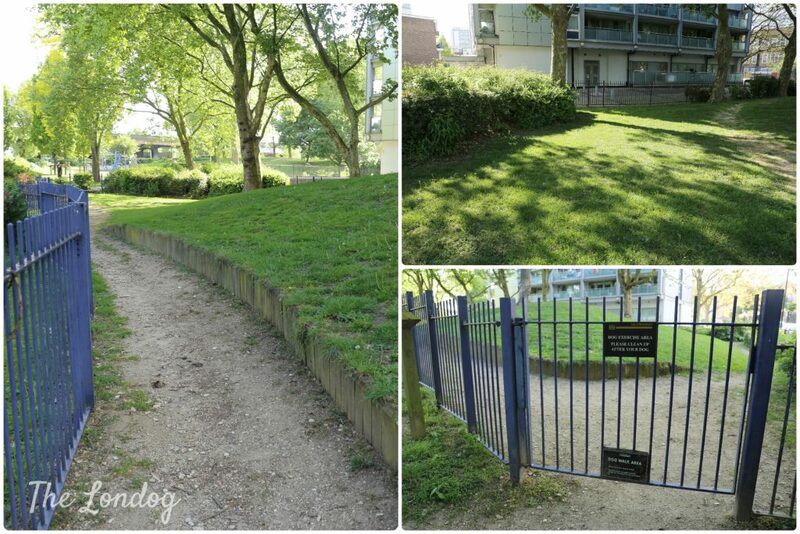 Paddington Recreation Ground used to host 3 dog exercise areas. Following a refurbishment, one of the dog areas was shut down and will soon become the “Bluebell Gled Extension”, so two dog parks are left. 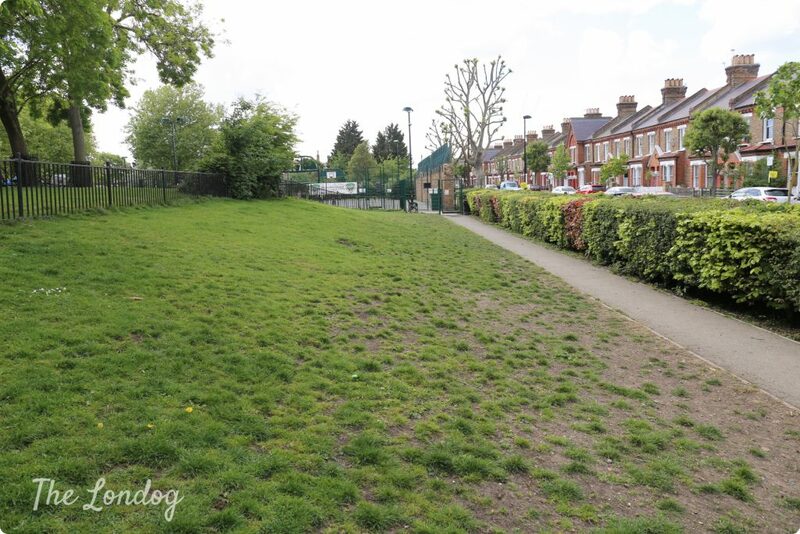 The first dog area, which is located close to Morshead Gate (on Morshead Road), is quite large. Although the wooden fence is only 100 cm high (approx. 39 inches), a higher edge has been grown all around it, which reaches 150 cm (approx. 59 inches), which makes it is safe also for larger dogs. On the side with the street, the fence is made of metal bars and is 150 cm high (approx. 59 inches), with space between bars of 11 cm (approx. 4.33 inches). The dog park is located is a quiet part of the Ground and has only one entrance gate. The area is equipped with two dog waste bins, two metal benches and a little concrete tunnel. 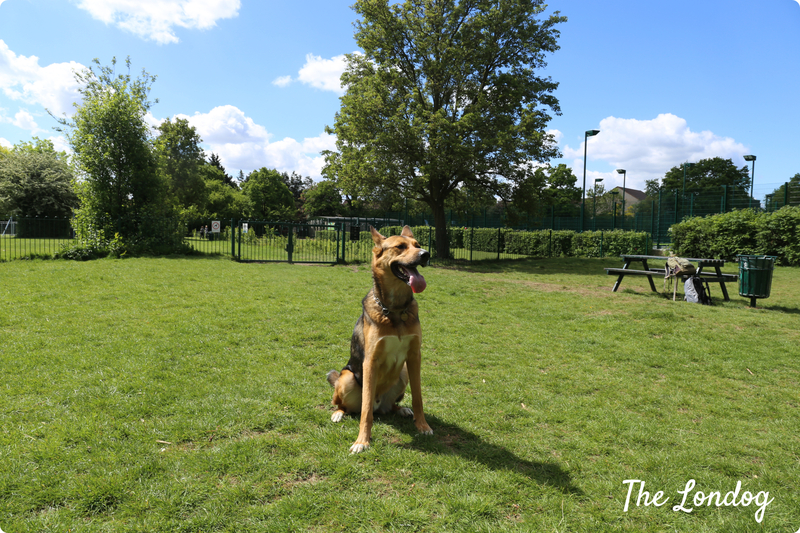 It is mostly well maintained, although the few times we visited we found no grass and some debris (so to play fetch and run is a chance of paws scratches); it was mostly clean, although we found some unpicked dog mess here and there. The second dog area is located in the North part of the ground near Carlton Gate, next to the car parking. It is medium sized and enclosed by a wooden fence between 80 and 100 cm of height (approx. 31.5 and 39 inches), with an edge on the external part. There are a few trees and it is mostly in the shade. There are two gates on opposite sides of the dog area, two dog waste bins and a general one, as well as a concrete tunnel. We weren’t too impressed by the maintainance of the area: parts of the fence were almost broken, there was rubbish around and some unpicked dog mess. 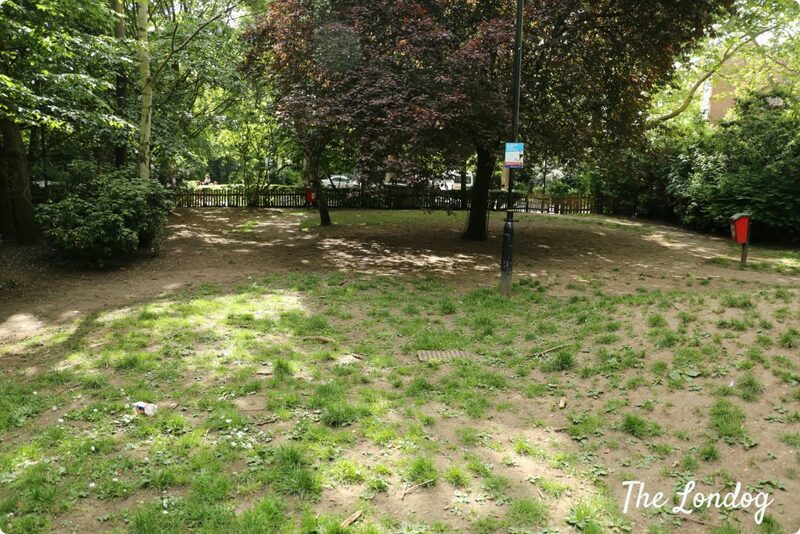 Westbourne Green Open Space is located near the South bank of the Regents Canal at walking distance from Little Venice. The closest tube station is Royal Oak. The dog area has 3 gates, one of which is locked. Under the Northern gate there is a wide gap of 18.5 cm (approx. inches). It is enclosed by a metal bar fence. The fence with the rest of the Green is between 117 and 122 cm high (approx. 46 to 48 inches), with space between bars of 8 cm (approx. 3.15 inches), while the fence on the border with the street is approximately 120 cm high (appprox. 47.24 inches), with space between bars of 8/9 cm (approx. 3/3.54 inches), and the one with the residential area is 138 cm high (approx. 54.3 inches). 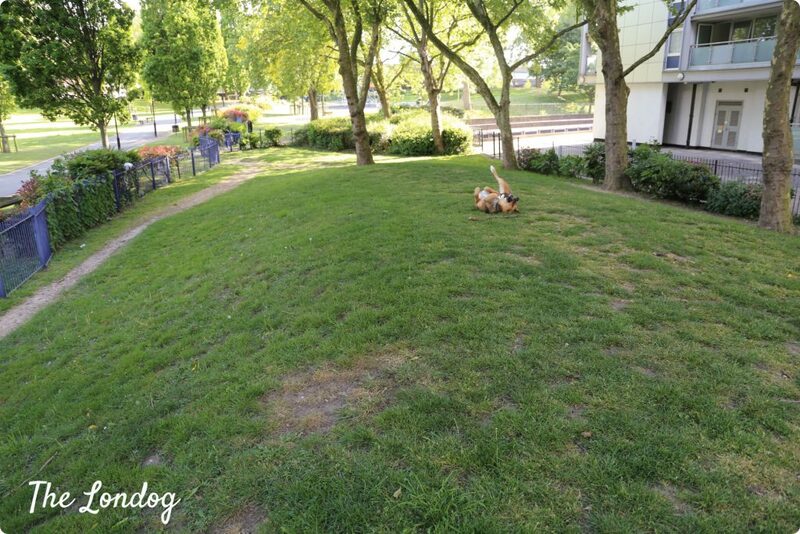 There is a “hill” in the middle of the dog park, so it is probably not the best place to play fetch, but you can still have some games and run up and down the hill with your dog and tire him/her out anyway. In the dog park there are no benches nor waste bins. 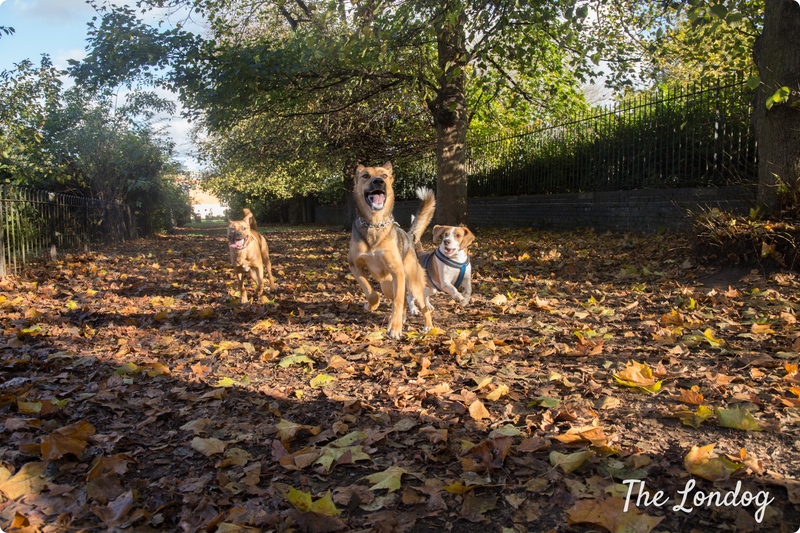 Queen’s Park Gardens host a medium sized enclosed dog area. The same has 2 gates, on opposite sides of the park and is built mostly on a slope. The fence on the border with the street is 120cm high (approx. 47.3 inches) and in front of it there is a thick edge, while the fence with rest of the park is about 95cm high (approx. 37.4 inches) and has a space between bars of 10 cm (approx. 3.9 inches). Under the gate there is a gap of about 10 cm. The area is equipped with a bench and 3 bins, as well as a concrete path. Travelling to a dog area: To visit a dog park via public transport escalator-free, you can plan your route here. Not the area you were looking for? 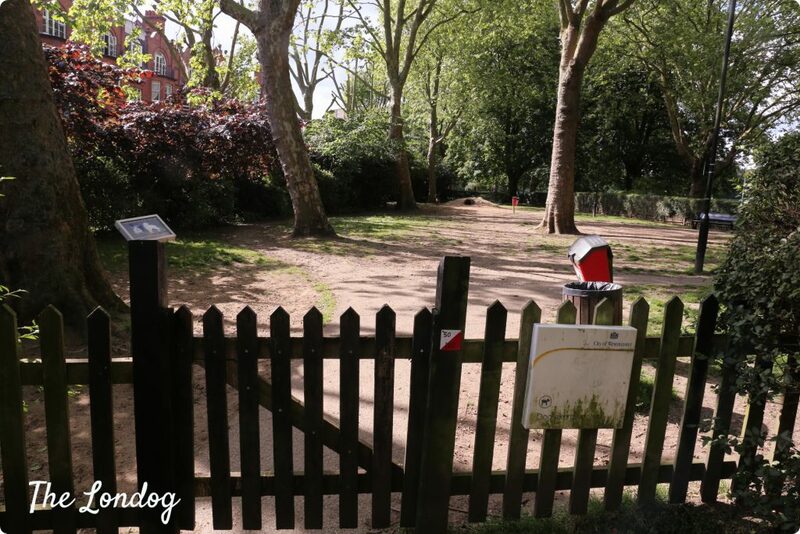 Find out about other London dog parks here. I hope this was useful! Leave a comment below and tell about YOUR experience and feedback! Next PostOur Butternut Box trial and fast eating challenge: who won?